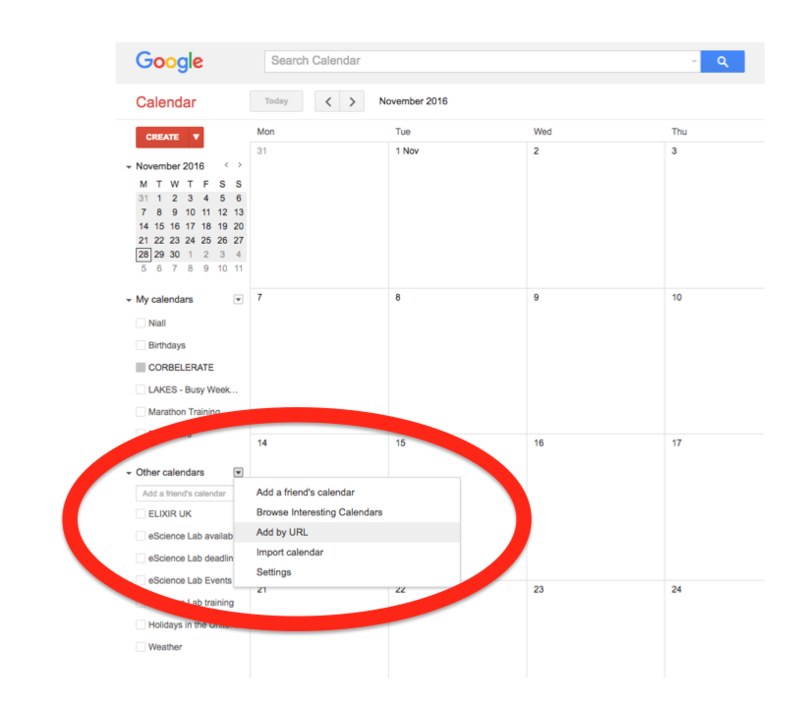 In the left-hand column of the Google Calendar main view, click the arrow to the right of "Other calendars" and click "Add by URL". In the form that appears, paste in the URL from the box above, and click the button to confirm. Please note, it may take a while for newly-created events in TeSS to synchronize with your Google Calendar. What are events in TeSS?